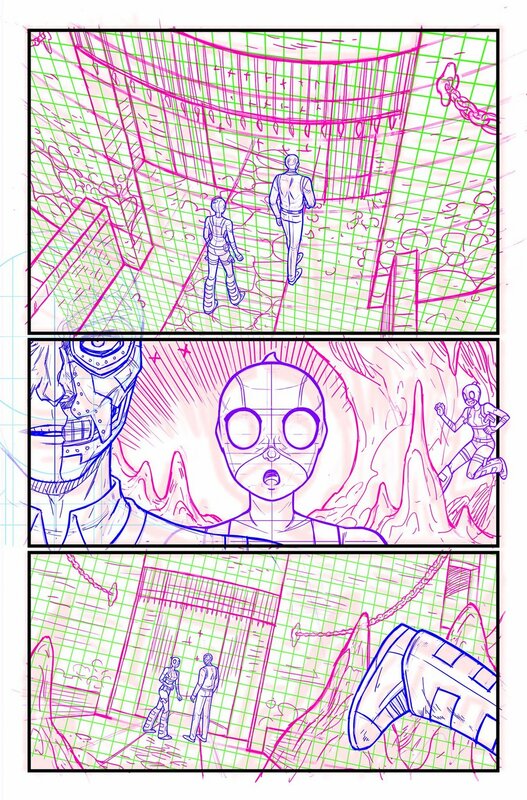 Irenie Strychalski, professional illustrator and comic book artist (Gwenpool, Silk, Archer), was kind enough to share some of her pages from Gwenpool #22 on Twitter yesterday. As an artist myself I love to see the process of creating. Here, Strychalski provides us with a look at both the pencils and inks side by side. It's amazing to see the transformation. Also, I love that she drew with pink pencils, something she said she only does with Gwenpool. I really like the way she captures Gwen and I look forward to seeing more in the future. Gwenpool #22 is out now. Follow along on her Twitter, Instagram, Tumblr and YouTube channels.